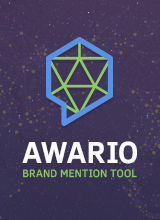 Awario - an ideal tool for tracking all brand mentions. Your chances of winning increase with each entry! This offer is available for several days only.